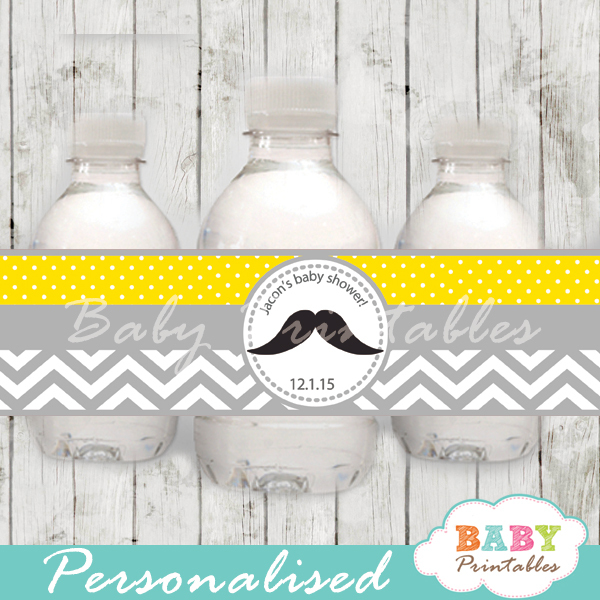 Personalized printable Blue Alligator boy baby shower bottle labels. 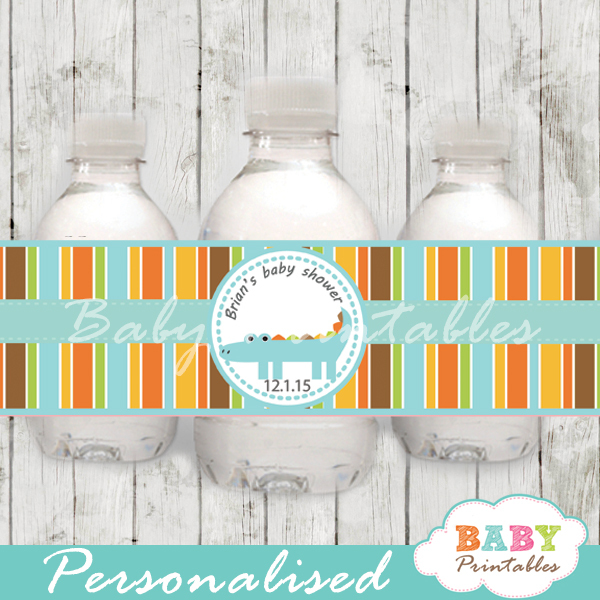 The wrappers feature a cute blue crocodile on a white backdrop and a blue/orange/brown/green color scheme. 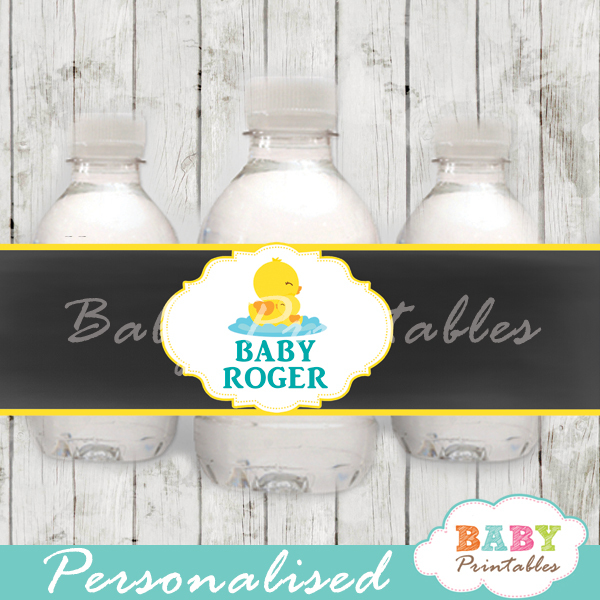 This listing is for 1 PDF file (8.5″x11”) with 9” x 2.4” labels that fit most standard water bottles personalized for you. 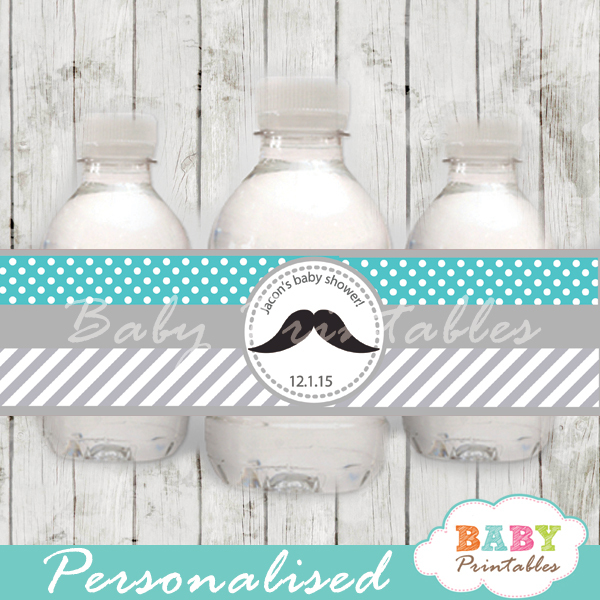 Please don’t forget to enter the name & date you want on the labels in their respective boxes above. You will receive your personalized file by email within 24 hours of placing your order. 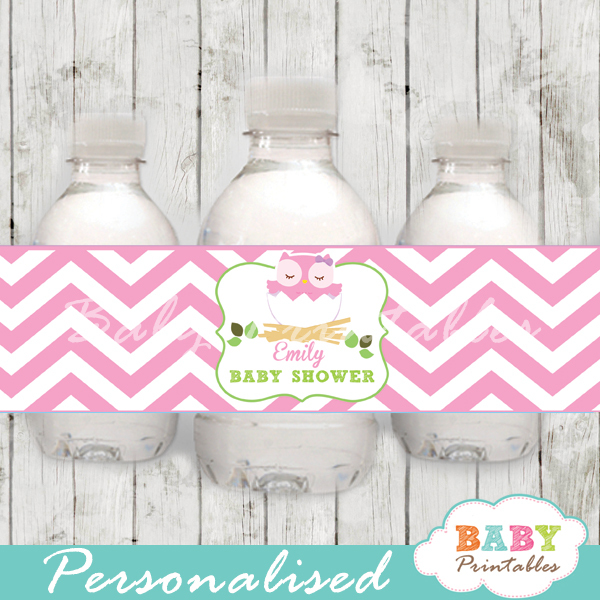 Upon receiving your file by email, print on plain, brochure or sticker paper, cut them out and have fun decorating!